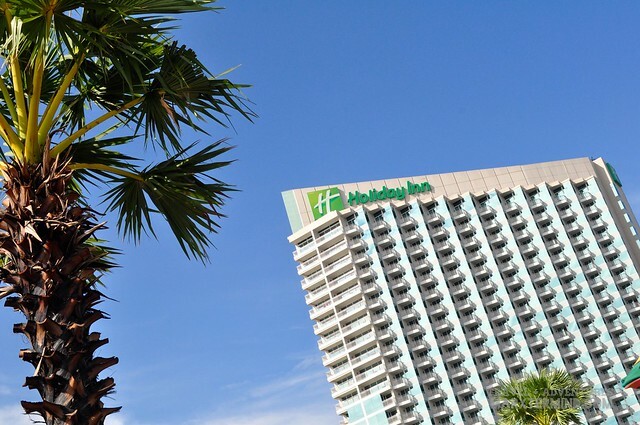 I jumped for joy when I learned that we will be staying at Holiday Inn in our visit to Pattaya in Thailand before flying back to our home country. After spending two weeks in India, I believe me and Paula deserved a pampering – a treat to ourselves for making through our Indian odyssey. It was around 5:30 AM when our plane from Kolkata arrived in Bangkok. It was still too early for us to get out of the airport vicinity and travel to Pattaya so we had decided to stay a few hours inside the terminal – looked for comfortable spot and dozed. It was my first time to sleep in the airport and I must say I had a good one. We were able to have sufficient sleep, enough to re-energize ourselves for another long day. We woke up at around 9:00 AM. We then left the airport and moved to our destination, Pattaya. 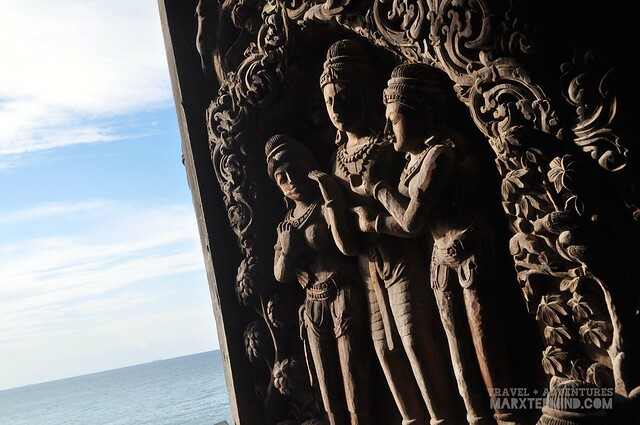 Pattaya is a city in Thailand located on the east coast of the Gulf of Thailand. 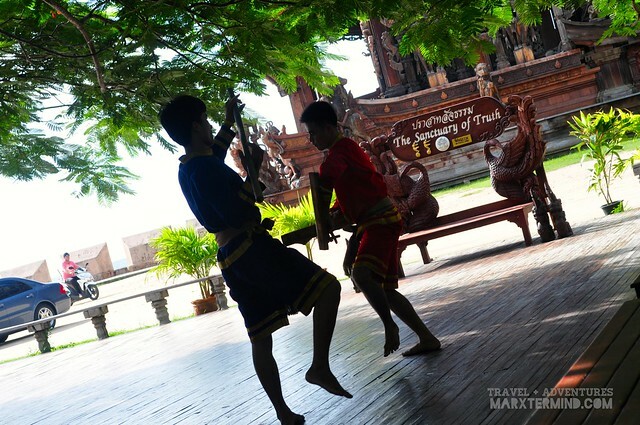 It is about 100 kilometres southeast of Bangkok which can be traveled by land for about 2 1/2 hours. 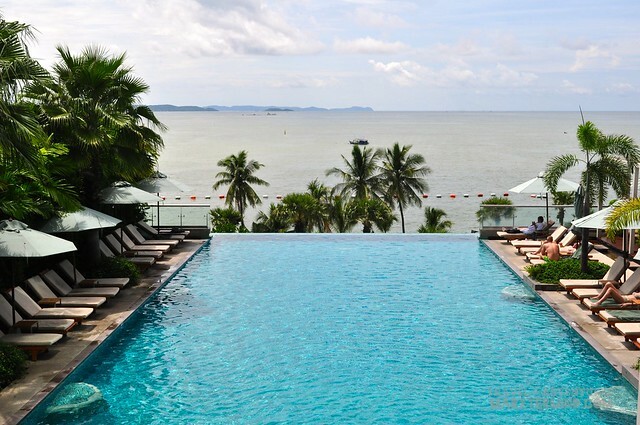 Pattaya is a beach destination popular to tourists. 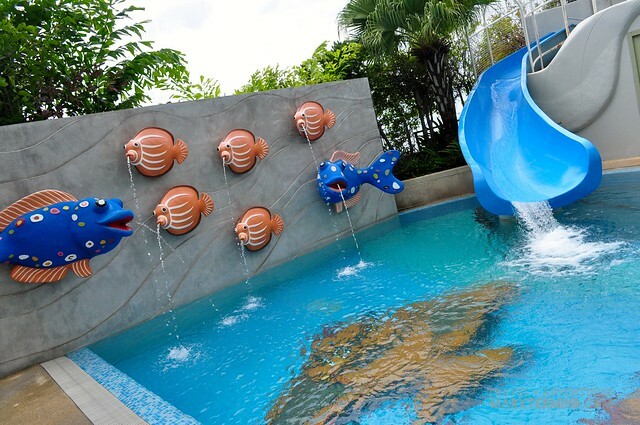 This beach destination is famous for its go-go and beer bars, but due to the efforts of the local authorities, Pattaya has now more family-friendly attractions and activities which even families travelling together can enjoy. Pattaya can be reached by riding a public van located in one of the terminals near the Victory Monument. Fare per person costs around THB 100. It was already past lunchtime when we were able to arrive in our hotel, just in time for our check in schedule. 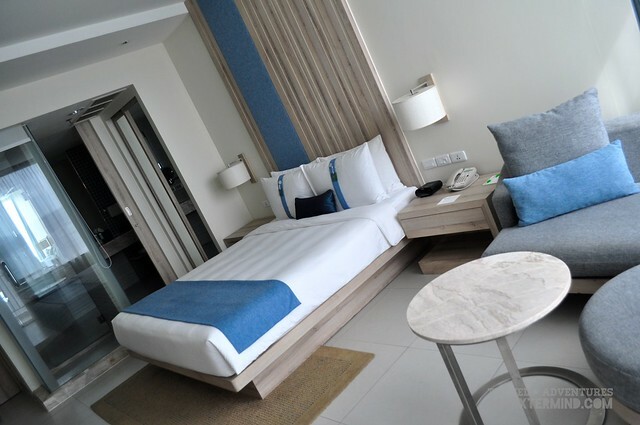 Check in was a breeze – we even got a free wi-fi usage for our entire duration and allowed for late check out the next day. 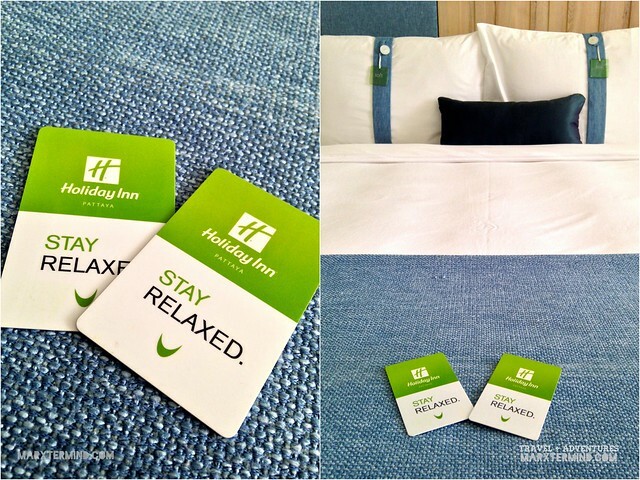 Oh, few freebies that had certainly added comfort and convenience to us. I jumped for joy again upon entering our room. Certainly, the most cozy, pleasant and relaxing accommodation that we had during our long travel from Malaysia, India and Thailand. As cliche goes, we couldn’t ask for more. Our room was just absolute. 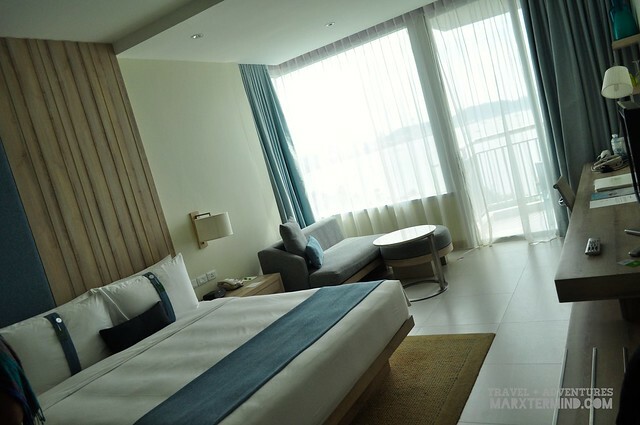 Our room also has a veranda giving a view of the beach coastline. Our first day was spent most of our time inside our room, just what we had wanted – to relax. And because of coziness and comfort, we had ditched some of our plans the next day and just stayed comfortably in our room half of the day. It was the next day morning that we had allotted time to get into the pool area and explore the facilities of the hotel. 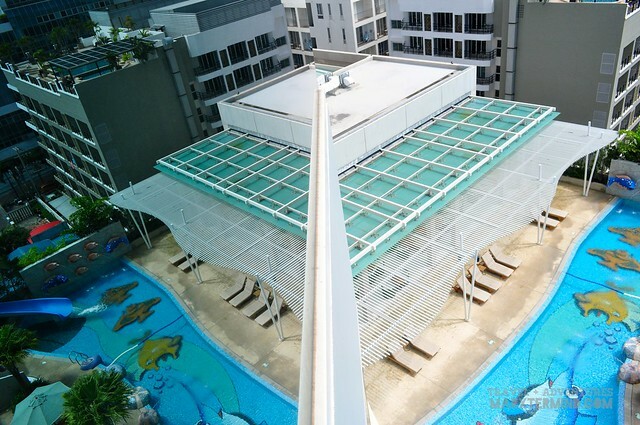 The hotel pool area is divided into two sections, a kiddie pool and an infinity pool. The infinity pool is somehow hidden that you won’t be able to see it unless you really get around and explore the entire pool area. 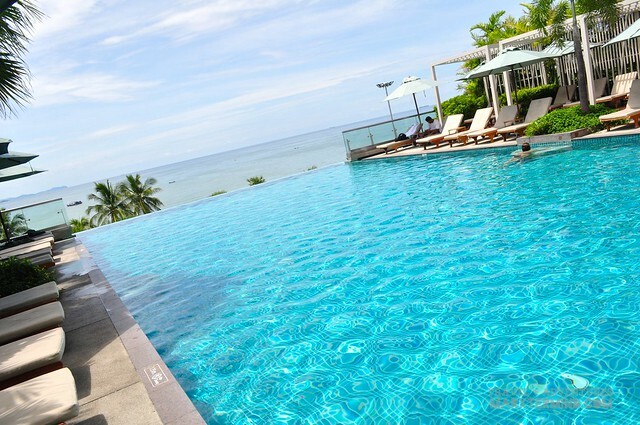 The infinity pool alone made us wanted to extend our stay on this hotel. If we can only afford another night. 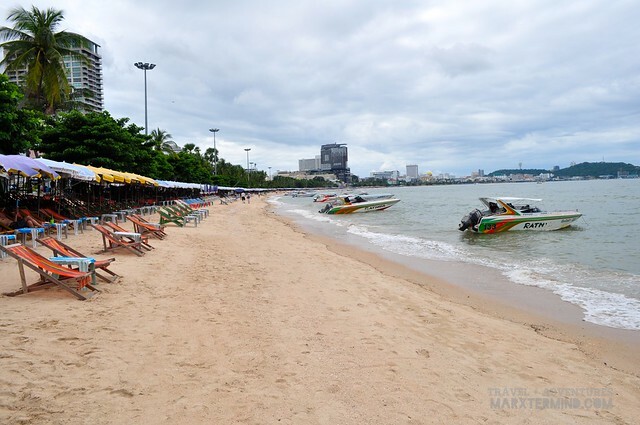 We explored the city of Pattaya mostly through walking along the beach area, beach road and main road. The beach in Pattaya is not that spectacular just like what I had expected. It was just okay, the sand isn’t fine and the water isn’t that clear. We planned to take a dip in the water but had just decided not to and just had a swim in our hotel’s pool. 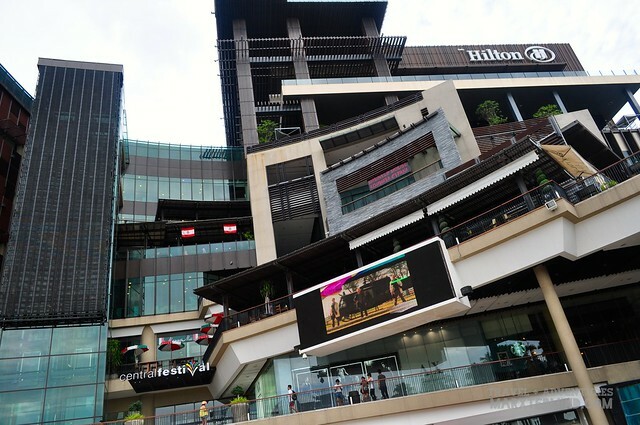 Since we’re in Thailand, another popular activity aside from getting to the beach is to go shopping. We only went to a certain mall to shop for bags, clothes and souvenir items and that is at the Central Festival Mall. The mall is a 10 minutes walk from our hotel. 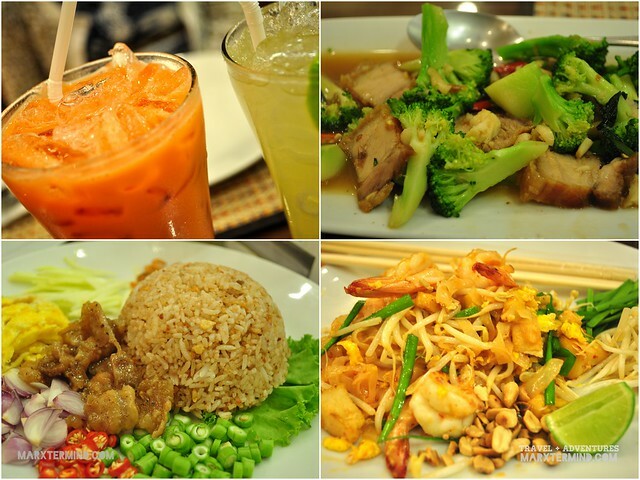 During my first visit in Thailand, it’s a shame that I wasn’t able to try eating in a local Thai restaurant so when I was able to pay a visit to the country again, I made sure that I will be able to try one so we looked for a Thai restaurant nearby and had a nice dinner over my favourite Thai food. 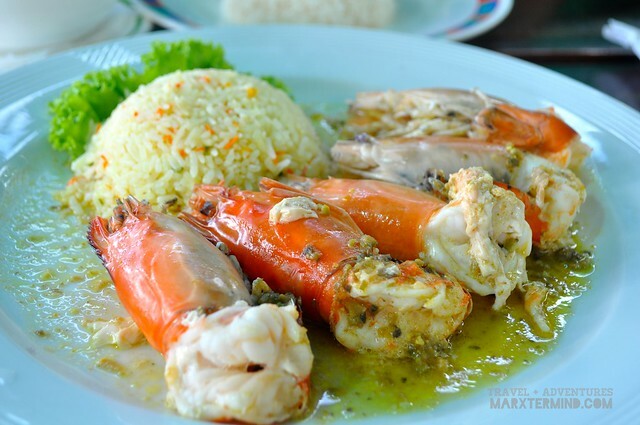 Since we’re in a beach, we also tried having seafood in one of our meals. We had shrimps during our lunch the next day in one of the restaurants located in the beach road. 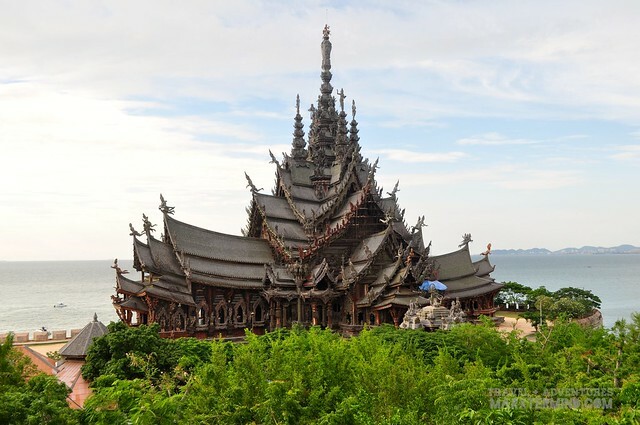 We planned to visit three tourist sites in Pattaya but ended only visiting one, and that is The Sanctuary of Truth. 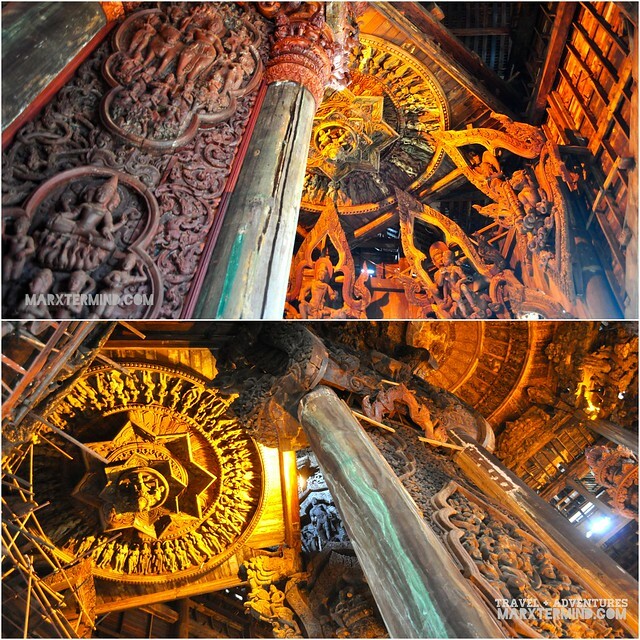 The Sanctuary of Truth which is also called Wang Boran and Prasat Mai is a temple constructed as an all-wood building filled with sculptures based on traditional Buddhist and Hindu motifs. 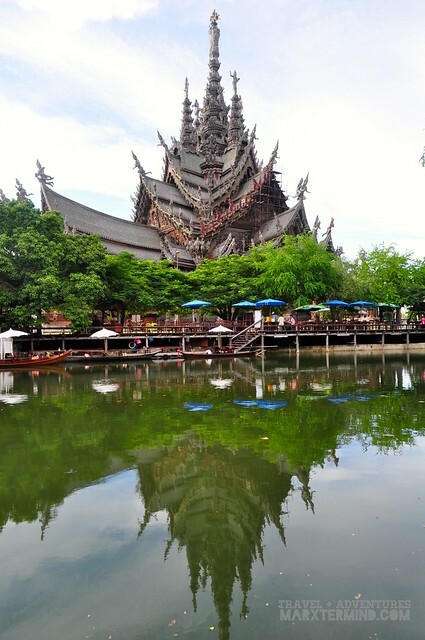 The temple is located at 206/2 Moo 5, Soi Naklua 12 , Naklua, Banglamung, Chonburi which can be reached by taxi from central town of Pattaya in about 20 minutes. Admission ticket to the temple costs THB 450 per adult person. The temple is open from 8:00 AM to 5:00 PM. 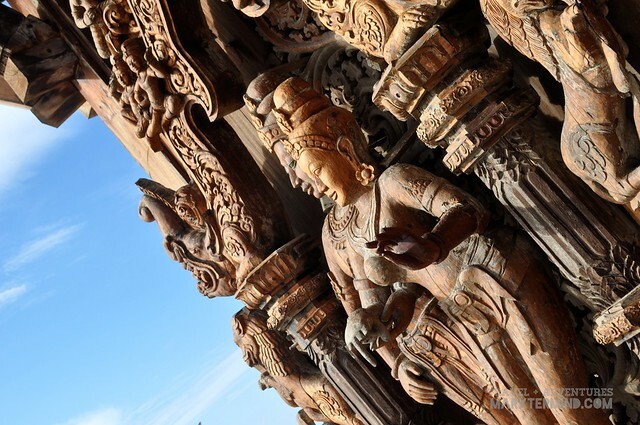 The idea of a temple completely made out of wood, and all the delicate carvings done by hand are already amazing features to see for a temple. 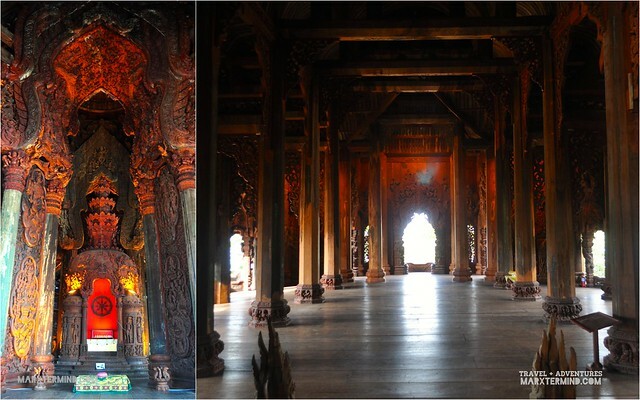 Indeed, it is an astounding tourist attraction in Pattaya that shouldn’t be missed when visiting this part of Thailand. There’s also a cultural show which happens on schedule. 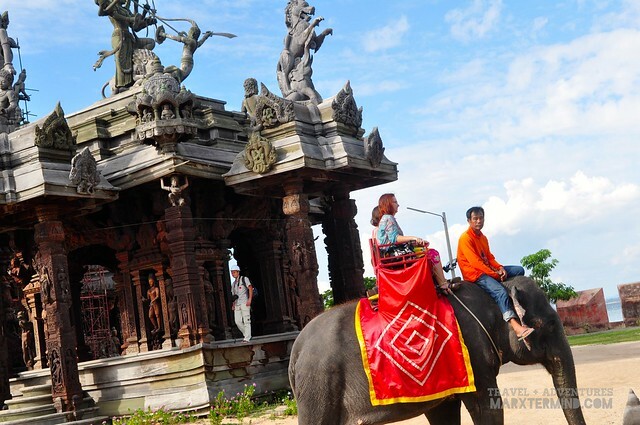 Visitors can also ride an elephant for a fee to reach and get around the wooden temple. There are also restaurants, stalls and shops available inside the park. 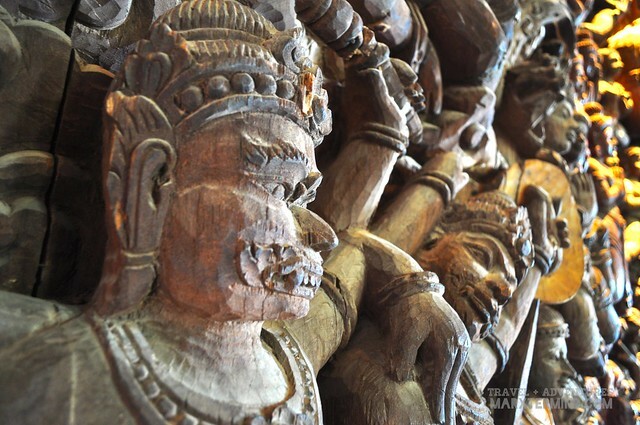 After visiting the wooden temple, we went back to the city proper and looked for shops to buy souvenir items. We went back to our favourite mall and spent the rest of our time strolling inside the commercial building. There are several transport companies that cater transportation to Suvarnabhumi airport from Pattaya but these come with schedules. We were trying to catch a coach ride at 8:00 PM from Pattaya but unfortunately we weren’t able to catch it as we were able to arrive at the terminal few minutes late so we ended up waiting for another hour for the next coach. Good thing though, our flight was still at 12:40 AM, just enough for us to catch it if there won’t be any mishaps to happen. 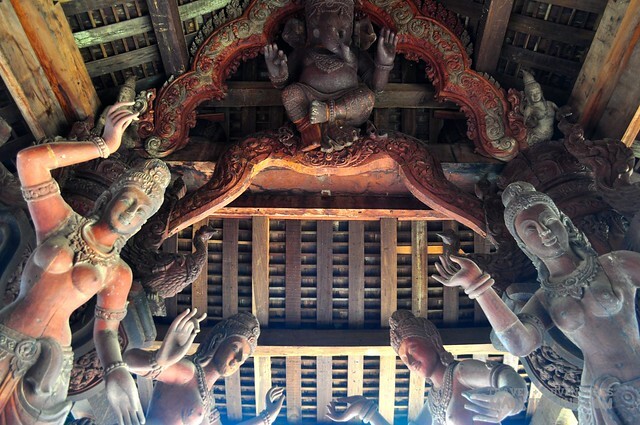 Luckily, there’s none – no another amazing race. The bus ride normally costs THB 134 per person with travel time of about 2 hours. 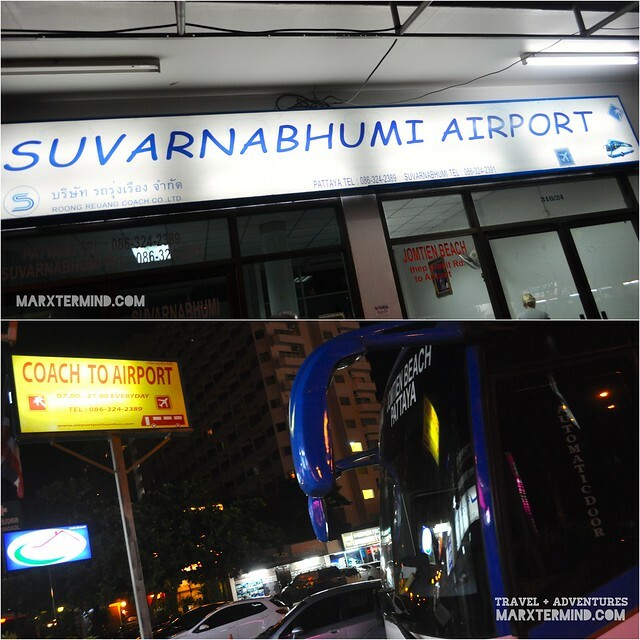 The bus goes directly to Suvarnabhumi Airport’s Departure Terminal Level 4 which we found it convenient as we won’t be passing through Bangkok anymore as oppose to what we did when we went to Pattaya from the airport. 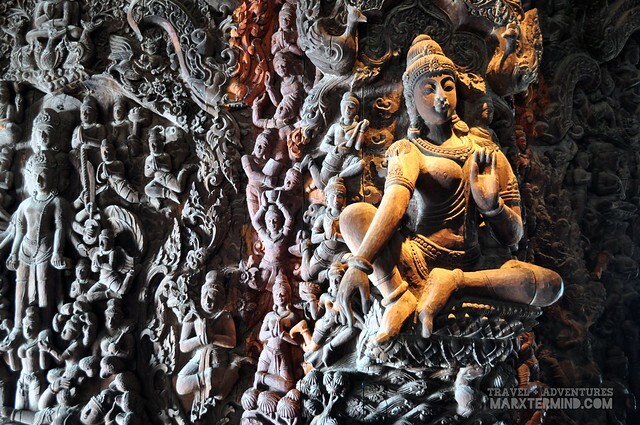 Our quick visit to Pattaya certainly gave us a breather. We were able to relax and don’t pressure ourselves about the time during our stay and mind about our itinerary of what places to visit. 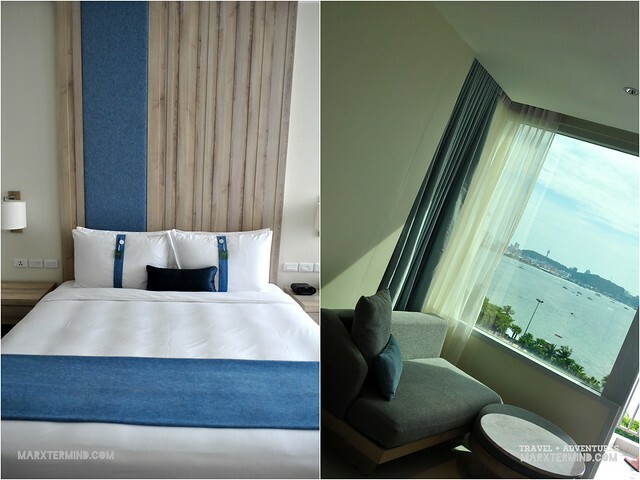 Although it’s just a short stay, it certainly brought us to what vacation really is – pampering and treating ourselves. I will also jump for joy, if that will be my room for a night. Love your photos. Panalo yung mga photos mo, marx!